The drug is the fresh herb of Colysis henryi (Bak.) 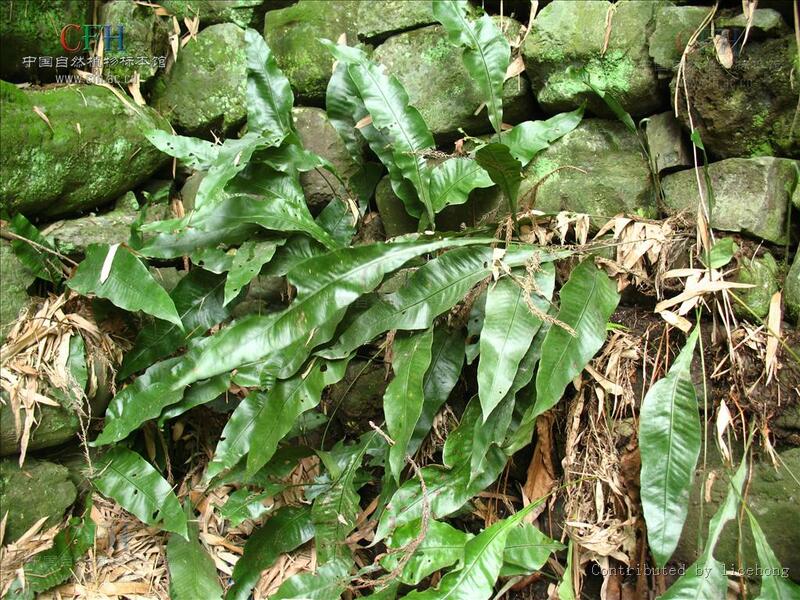 Ching (Family Polypodiaceae), growing in moist areas in woods or on rocks, distributed in Jiangsu, Zhejiang, Fujian, Hubei, Guangxi, Guizhou, Sichuan and Yunnan of china. Sweet, slightly cold; lung and bladder meridians entered. Cool blood to stop bleeding, induce diuresis and remove toxicity. Stranguria with turbid urine, hematuria, hemoptysis caused by lung-heat, snake bites, rheumatic arthritis, sores and boils. Decoct 15~30 g, or 30~120 g of the fresh. Proper dosage is for external application, pounded for applying.